Charles Maso & Sons has 50 years experience in fine home building. Let us build a dream home for you. Consider your new custom-built home in this pleasant and convenient country location. NEW CONSTRUCTION - New Contruction, A must see location, Executive colonial, Stone Front, 4BR, 3 Bath, Large Great room with Fireplace, Maple Kitchen, Granite Tops, Hardwood 1st Floor Master Suite Vaulted Ceilings with Skylites, Whirlpool Bath, Full Basement and Future Bath, 2 Zone Gas Heat and AC, Landscaped and Concrete driveway. NEW CONSTRUCTION - Two-story Churchview corner lot with scenic view, 4/5 bedrooms, 3 full baths, custom design kitchen with granite tops and appliances, great room with fireplace, tile and hardwood floors, 1st floor: bedroom/office, full bath #3. 2nd floor: 4 bedrooms and 2 baths, super R-49 ceiling insulation, heat pump with central AC, oversize 2 car garage and concrete driveway. 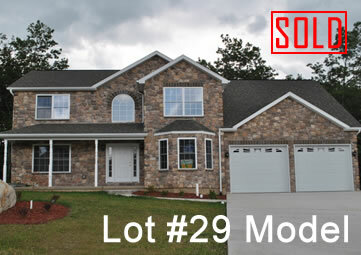 NEW CONSTRUCTION - 4 bdrm., 2.5 bath, 1st floor master bedroom & whirlpool master bath, great room, fireplace & cathedral ceilings. 2nd floor: 3 large bedrooms, bath & loft. Walk-out basement can add 1,000 s.f. living area. 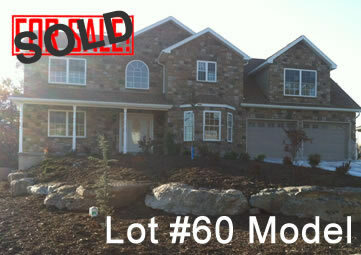 NEW CONSTRUCTION - A Must See Location. 2,825 sq. ft. Colonial. Full stone front, 4/5 bedroom, 3 bath, large family room w/fireplace, oak kitchen, granite tops, tile floors, Mstr. 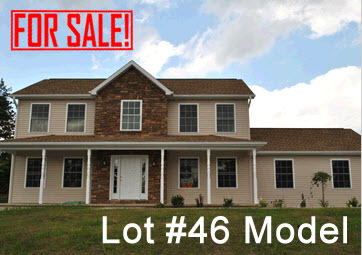 suite w/whirlpool, 23’ bonus room w/vaulted clgs & skylites, walk out basement & future #4 bath, 2 zone gas heat & AC. 144 St. Angela Drive, Hazleton, PA 18202 - 4 bedrooms, 2.5 baths, eat in kitchen, formal dinign room, living room, rec room, fenced yard. 2 car attached garage in addition to the 2 car detached garage. Concrete drive. Churchview Terrace is the second quality development developed by Charles Maso & Sons that offers the best in suburban living. 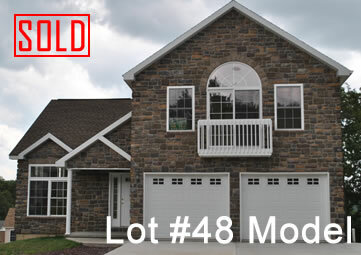 Close to schools and shopping, Churchview Terrace is located near interstates 80 and 81 in northeastern Pennsylvania. Easy access to New York and Philadelphia make this an ideal suburban location. In addition, the nearby Pocono Mountain Vacation Area offers unsurpassed recreational opportunities. Further, as with our Charlwood development, Churchview Terrace is a great example of fine home construction and environmental planning. Charles Maso & Sons has used all it’s experience to create in Churchview Terrace another top-quality living environment. Utilizing the best in construction materials, custom interior design and selection, and features such as poured foundations and aesthetically pleasing underground utility placement, Charles Maso & Sons has created a living environment that is second to none. Please consider allowing Charles Maso & Sons to create for you the home of your dreams.